We all know how important a sense of identity is and our ability to remember people, things, places and feelings help form us form a sense of identity and develop into the complex human beings that we are. For John deBrun life is not so simple. Twenty-seven years ago, he washed up onto the shore of Nanagada with no memory of his past and although he has made a new life for himself, his soul remains haunted by unanswered questions about his own identity. Nanagada is inhabited by human descendents of colonists who lost most of their technology generations ago. Sharing the land with them are the loa, enigmatic aliens who prefer to keep a low profile, and who are revered by many. Across the Wicked High Mountains live the Azteca, about whom little is known apart from their almost boundless aggressiveness and seemingly insatiable desire to invade and conquer Nanagada at the bequest of the teotl, another alien race whom they consider their gods. Nanagada's only hope lies in a mythical artefact, the Ma wi Jung, said to be hidden somewhere in the frozen north. And only John deBrun knows the device's secrets, even if he can't remember why or how. 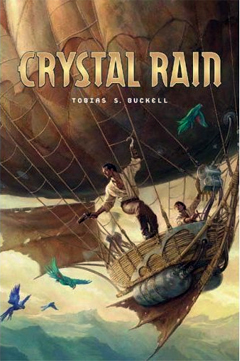 Crystal Rain is the first novel by Tobias S Buckell and is an astounding debut. 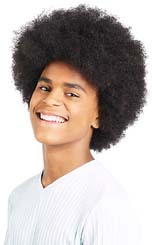 Being mixed-race, looking white and growing up on Grenada and the Virgin Islands has obviously helped shape Tobias' ability to weave a swashbuckling multicultural masterpiece. Don't just take our word for it click here to visit the website and read a third of the book for free, you'll be so hooked you'll have to go out an buy a copy.